For children, reading aloud builds confidence and poise—but sometimes, it’s hard to find the motivation that will get them interested in doing so. 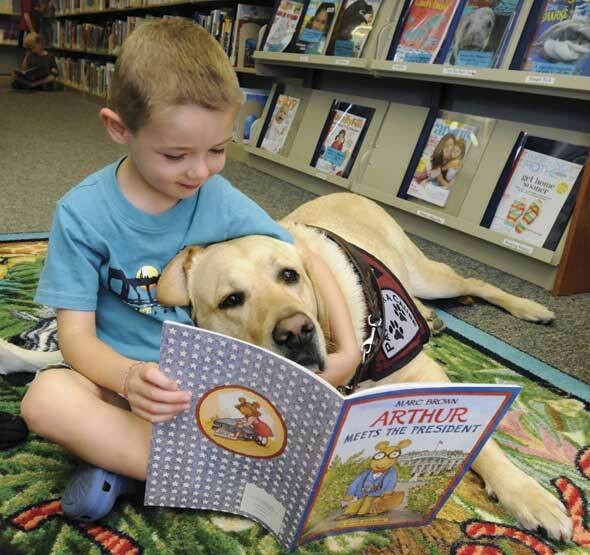 At the library, however, we have the perfect solution: friendly pups, in training to become service animals, who love to sit and snuggle with children while being read to. No reservations are needed. Just come by the library on Saturday, have your child pick out a book that he or she would like to read, and find one of the dogs that will be scattered throughout the library with their handlers. It’s that simple!